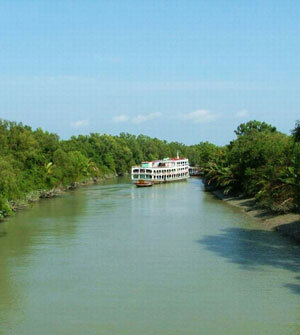 In 2013 PANDIASIA started operating in Khulna to serve the port of Mongla, the second port of Bangladesh. The port is expected to grow in importance as the infrastructure linking the port and Dhaka, the capital, is improved. Mongla is a major exporting port for frozen seafood and is the main gateway to western Bangladesh. The port handles considerable volume of imports of bagged fertilizer and bulk wheat. These cargoes often give rise to claim situations because of stevedore damage to bags and the port’s practice of discharging bulk wheat. The navigational challenge is also challenging as there are shallow banks in the river and strong cross current at the river mouth.